In our last blog we discussed the history of cigar smoking – where it originated, the development of the culture and its global popularity. This week, we’re taking a dive into some of the best cigar lounges and bars in the world. After-all, we’re regular travelers and the entire reason we designed The Hemingway Edition was because we like to take a few good smokes with us wherever we go. This blog runs through some of our own favourite spots, and a few we’d love to go to if we have the chance. Cigar lounges started to become more popular in the 1990s when other bars, whether through legal necessity or choice, started to ban smoking indoors. Cigar lounges offer a place where aficionados can relax, enjoy a smoke, a good drink and sometimes food. They can vary in style: Cuban or Central-American style cigar bars are a little more rough and ready, with louder music and more of a party atmosphere. English-style smoking lounges are a little more refined, harking back to the days of aristocratic gentleman’s clubs. point. 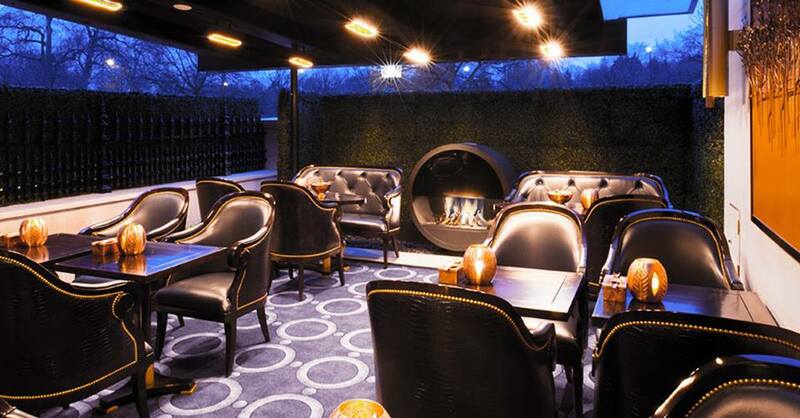 It’s an outdoor heated terrace, which offers its own selection of outstanding cigars in their bespoke humidor. The Wellesly Cigar Terrace also allows guests to bring their own cigars to enjoy alongside one of the fantastic cocktails available from the bar. 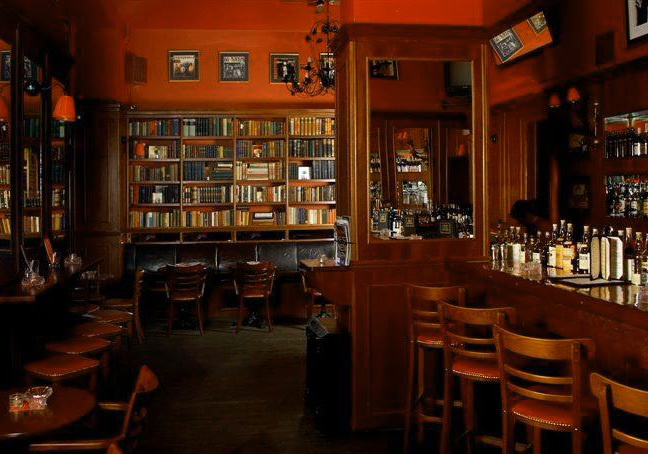 Tynska Bar & Books is an offshoot of New York’s Bar & Books chain. It is small, cosy and classically European in feel. The list of cigars on offer is relatively short, but truly exceptional in quality, and the bar offers a distinguished selection of whiskys and cocktails. 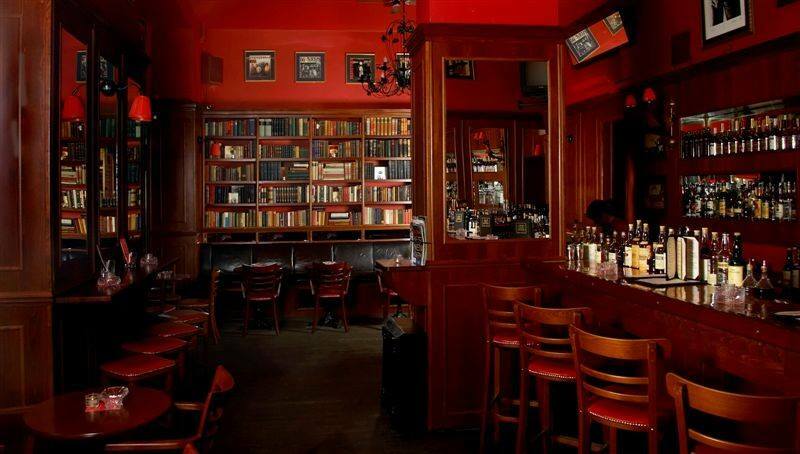 Prague is one of Europe’s must-visit cities, and Tynska Bar & Books is one of Prague’s must-visit bars. The original counterpart to London’s Floridita. 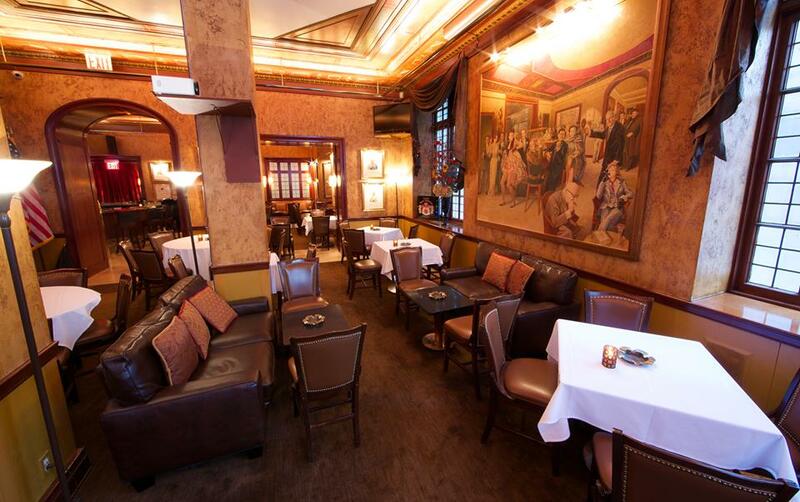 El Floridita is a firmly established in cigar history as one of the very finest places to enjoy an impeccable smoke. Open since 1817, it is a true Cuban cigar lounge, with excellent local music, rare cigars rolled nearby, a menu replete with fresh local fish, and unbelievable rum cocktails. Hemingway himself was famously a regular at the bar – if any reader can snap a picture of our Hemingway Edition case at El Floridita, please send it our way! These days it endeavours to maintain the atmosphere it was famous for in the 1940s and 1950s, with the same style of decoration in place. For a cigar smoker visiting Vegas, Casa Fuente must be one of the top destinations on the list. It isn’t cheap, but it’s worth it – the bar and drinks service is superior to almost anything else you’ll find in the city, and the comfortable lounging furniture make it a perfect place to escape the noise of the casino for a well-earned smoke. Another of the Middle East’s top retreats for cigar lovers. The Havana Club is located in the unbelievable luxurious Emirates Palace Hotel and offers members their own cigar storage facility on-site, as well as private rooms and an outstanding selection of tipples behind the bar. The range of cigars available to purchase is breathtaking, with some true rarities on offer. 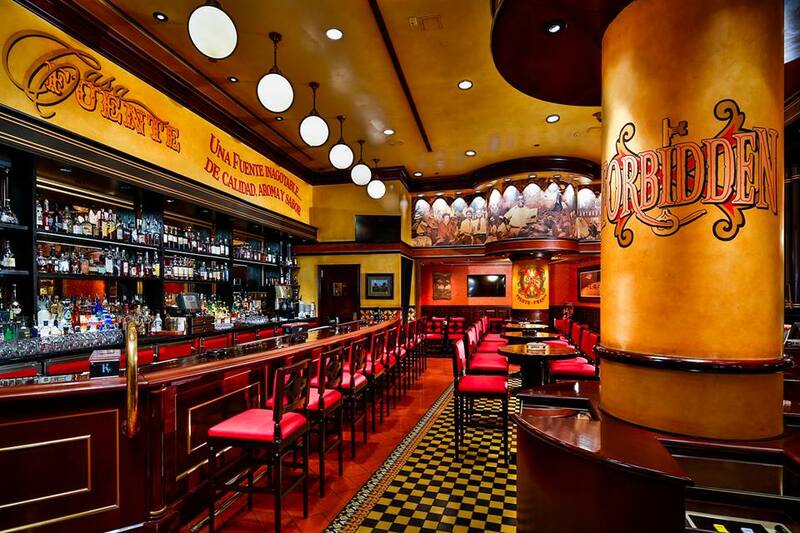 The Havana Club has a opulent yet modern look that also harkens back to old Havana. Service is professional and friendly, and the music and ambiance is notoriously, consistently top notch. Macanudo is a very well-known cigar brand and has established one of the best cigar lounges in the world in the form of Club Macanudo in New York. It is an enormous bar and lounge, putting the focus on absolute luxury against a Native American-themed backdrop. Located on the Upper East Side, it is one of the most popular spots in the city for visitors and locals alike. Be warned: Club Macanudo is open to all, but has a very strict dress code. We couldn’t put together this list without including an actual Cuban cigar lounge. Partagas is a must-visit for the cigar purist: its entire focus is on maintaining a world-class collection of cigars, and complementing it with the very best service. It is enormous, yet feels intimate and friendly, and in its cigar collection you’ll find cigars that are stocked nowhere else in the world. The Library Bar boasts a menu devoted entirely to cigars to go alongside an absolutely stunning interior, reminiscent of London’s classic gentleman’s clubs. Customers recline in gorgeous leather chairs, enjoying fine cigars and excellent Arabic food and cocktails. The Library Bar is expensive, but an incredibly easy place to spend hour upon hour enjoying a smoke and putting the world to rights. The Davidoff Lounge, named after the Davidoff cigar, is another hotel-based cigar lounge, set in the opulent Ritz-Carlton. Cigar-smoking is a relatively new hobby in China, and its cigar lounges are often full of wealthy-up-and-comers willing to part with serious money for the very best cigars, wines and spirits. 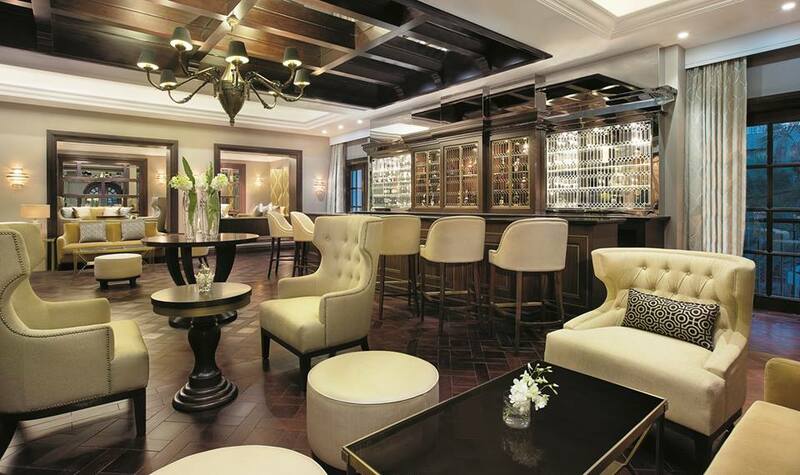 The Davidoff Lounge has an impressive selection of all three, and the decoration is an interesting combination of unabashed classical luxury with quirkier modern aspects. There you have it – our to cigar lounges in the world. Lucky indeed will be the smoker who gets the chance to visit all of them, but if you get to any of them and bring one of our cases along please send us a photo or use the hashtag #puroprestige on Instagram. And of course, if you know of other venues that deserve a place on this list please let us know and we’ll do our best to visit them.